This dataset shows the Issuer-level data on geographic service areas including state, county, and zip code by the Centers for Medicare & Medicaid Services (CMS). The Centers for Medicare & Medicaid Services (CMS) Center for Consumer Information & Insurance Oversight (CCIIO) publishes the Exchange PUFs in order to improve transparency and increase access to data on Qualified Health Plans (QHPs) and Stand-alone Dental Plans (SADPs) offered through the Exchange in the individual market and Small Business Health Option Program (SHOP). The PUFs (Public Use Files) include data from states with Federally-facilitated Exchanges (FFEs), which include states with State Partnership Exchanges (SPEs), and State-based Exchanges that rely on the federal information technology platform for QHP eligibility and enrollment functionality (SBE-FPs). The Exchange PUFs also include data on MultiState Plans (MSPs) and certified off-exchange SADPs. 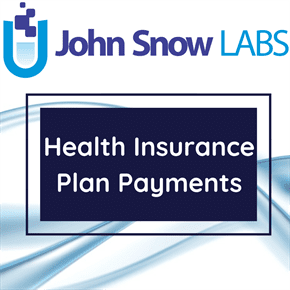 The PUFs do not include data from SBEs that do not rely on the federal platform for QHP eligibility and enrollment functionality. The Service Area PUF (SA-PUF) is one of the files that make up the Exchange PUFs. The SA-PUF contains issuer-level data on geographic service areas including state, county, and zip code. These data either originate from the Service Area template (i.e., template field), an Excel based form used by issuers to describe their plans in the QHP/SADP application process, or were generated by CCIIO for use in data processing (i.e., system-generated). These data originate from the Network ID template (i.e., template field), an Excel-based form used by issuers to describe their plans in the QHP/SADP application process, and were provided by the National Association of Insurance Commissioners (NAIC) by extracting the information from their System for Electronic Rate and Form Filing (SERFF).